We are a highly professional painting and decorating company with an enviable reputation for reliability, cleanliness and of course, the high quality of our work. No job is too small for consideration and whatever the interior or exterior painting services you require, residential or commercial, we have the expertise, equipment and experience to get the job done. A workman is only as good as his tools – right? 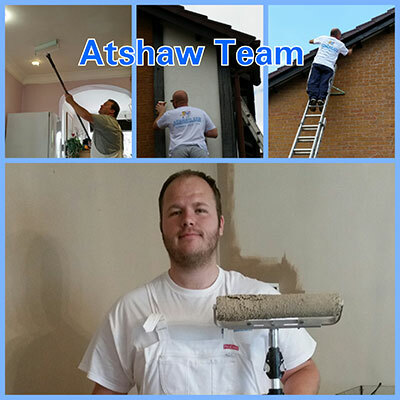 Here at Atshaw Ltd we have sourced and use only the best equipment, apart from the obvious brushes and rollers we have invested in top quality spraying equipment, masking systems and the latest dustless sanders. We even have our own scaffolding system for exterior work. The products we use are as environmentally friendly as possible, our paints are fast-drying and practically odourless allowing us to work quickly and cleanly. So why not see how we can help you and contact us today!